If your child is constantly being distracted as they study, they may never absorb the material they're reviewing. In order for their studying to be effective, identify their biggest distractors and remove these from their study space. For many students, technology like cell phones and tablets can cause their attending to wander. In other cases, feeling tired or hungry can cause a lack of focus. Find a way to resolve these distractions for study time that is effective. Not having proper notes when it comes time to study can be a real problem. Note taking is a skill that needs to be developed over time, so don't automatically assume that your child is taking the best notes possible. Look into different note-taking methods and have your child try them out until they find one that works for them. Keeping their notebooks tidy and organized will also help a ton. Studying shouldn't be left for the day before a test, but rather it should be done over a longer period of time. 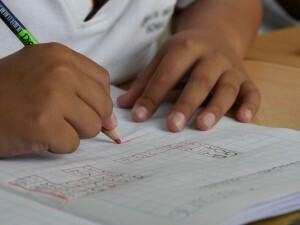 Even if your child doesn't have a test coming up, they should still make time to study their notes and lessons daily. When they do have a test coming up, they will know their lessons better, making studying less stressful and less time-consuming. Help your child reach their academic potential this school year by enrolling them in tutoring in College Station. Contact The Tutoring Center, College Station TX at (979) 402-1033 and be sure to ask about your free diagnostic assessment.